4th and 5th grade worksheet for similes. Solve the simile questions by matching it up correctly. 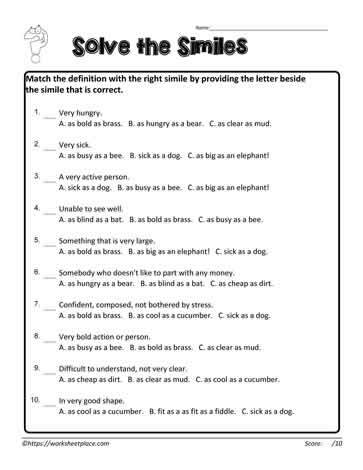 Simile worksheets with answers.